Mary prepares and prosecutes US patent applications, counsels clients on strategies for increasing commercial value of their intellectual property portfolios, prepares opinions, and practices before the US Patent and Trademark Office (USPTO) in post-grant proceedings in the areas of biotechnology, pharmaceuticals, medical devices, and solid particles. Mary has been recognized as an IP Star by both Managing Intellectual Property and LMG Life Sciences. Her value-adding approach to building her clients’ IP portfolios is backed by more than a decade prosecuting and defending life science patents before the USPTO and several US district courts. Using her unique combination of experience, Mary identifies and seeks protection for novel and nonobvious aspects of technologies that otherwise may have gone overlooked and works closely with clients to align their IP portfolios with their company’s business goals. Mary uses her value-adding approach to life science technology at any stage of development—from early discovery to block-buster product—and for any-sized life science business. She works with emerging startups, publicly-traded companies, research foundations, universities, and multi-national companies. She has experience with a broad range of life science technologies, including antibodies; recombinant organisms, genes, and proteins; ribozymes; RNA interference; gene therapy; virology; cell-based therapies; orthobiologics; biochemistry; protein purification; small molecule therapeutics; salt and polymorph forms; solid particles; pharmaceutical formulations; diagnostics; treatment methods; and biological aspects of medical devices. Mary’s district court litigation experience includes preparing and defending fact and expert witnesses at deposition; preparing expert discovery; drafting pleadings, motions, and briefs; preparing for and participating in Markman proceedings; and participating at several trials. Mary was also an attorney of record for amicus briefing before the district and Federal Circuit courts in the Myriad case. Mary focused her doctoral and post-doctoral research on embryonic and fetal gene therapy for the prevention and treatment of Pompe disease and other inherited metabolic and muscular disorders, and immunological considerations related to gene therapy. During the course of her research, she was involved in the clinical trial testing of the Myozyme® drug product. Mary also investigated murine embryonic stem cell transduction and differentiation; production, purification, and quantification of recombinant viral vectors (adeno-associated virus and adenovirus); in utero gene therapy methods in mice and nonhuman primates; catalytic RNAs (ribozymes); and lysosomal protein (acid alpha-glucosidase) production, purification, and characterization. She was awarded post-doctoral funding from the National Institutes of Health and several pre-doctoral fellowships from the American Heart Association for her research. 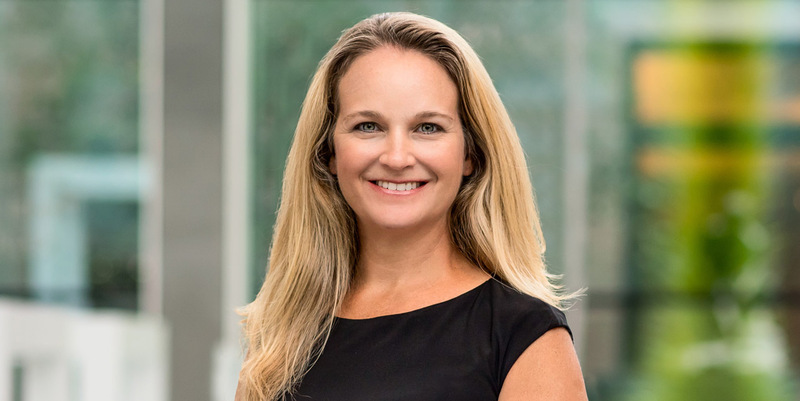 Prior to joining McNeill Baur PLLC, Mary practiced as an attorney for over 9 years in the Atlanta office of Finnegan, Henderson, Farabow, Garrett & Dunner, LLP. Prior to that, Mary also gained life science patent preparation, prosecution, and interference experience working as a summer associate and law clerk at several intellectual property boutique firms throughout the Southeast. Mary is involved with several Life Science organizations including SEBIO, Georgia BIO, North Carolina Biotechnology Center, North Carolina Council for Entrepreneurial Development, and BioFlorida. She has also served as Chair of the SEBIO Networking Committee and as an SEBIO Early Stage Company Mentor. She currently serves as vice-chair of the PTAB Bar Association PTAB Appeals Committee. “Factors Favoring Early Settlement of Post-Grant Proceedings,” Landslide 8(6), July/August 2016 (coauthor). “Navigating the Limitations on Discovery in AIA Post-Grant Proceedings,” Buffalo Intellectual Property Law Journal, December 3, 2015 (coauthor). “From Allergan to BMS: Are We Forgetting the Lessons of History” BNA, Pharmaceutical Law & Industry Report, July 25, 2014; reprinted in BNA Patent, Trademark & Copyright Journal, August 8, 2014 (coauthor). “Safeguarding the Value of Patent Assets,” Pharmaceutical Executive, March 2013 (coauthor). “Rescue of Enzyme Deficiency in Embryonic Diaphragm in a Mouse Model of Metabolic Myopathy: Pompe Disease,” Development 131(12):3007-19 (2004) (coauthor). “Dual Vectors Expressing Murine Factor VIII Result in Sustained Correction of Hemophilia A Mice,” Human Gene Therapy 14(2):143-52 (2003) (coauthor). “Correction of the Enzymatic and Functional Deficits in a Model of Pompe Disease Using Adeno-Associated Virus Vectors,” Molecular Therapy 5: 571–78 (2002) (coauthor). PRG Advanced Course, “Pharma CCPA 103 & 112 Cases: A Precedential Blast from the Past,” Tampa, FL, April 13, 2016. PRG Advanced Course, “Preparation & Prosecution of Pharma U.S. Patents,” Tampa, FL, April 14-15, 2016. Strafford Publications Webinar, “Biosimilars: Navigating Current Legal and Regulatory Challenges,” April 23, 2015. North Carolina Biotechnology Center, Entrepreneurship Essentials Seminar, “The Nonobvious Invention: Recognizing the Hallmarks of Patentable Bio/Pharma Inventions,” Research Triangle Park, NC, November 17, 2014. PRG Advanced Course, “The Coming AIA IPR and PGR Tsunami for U.S. Pharma Big and Small Molecule Patent Owners: A Call to Action,” Raleigh, NC, October 18-19, 2014 and San Francisco, CA, November 5-6, 2014. Georgia BIO Innovation Summit, Moderator, “Practical Considerations for Transforming Life Science IP from Bench to Market,” Atlanta, GA, October 16, 2014. Strafford Publications Webinar, “Section 103 and Obviousness: Capitalizing on CCPA and Early Federal Circuit Precedent,” September 16, 2014. American Conference Institute (ACI), “Interactive Working Group Session: A Hypothetical Invention Being Patented Under the AIA,” New York, NY, January 24, 2013. SEBIO Investor Forum, “Patent Strategies to Increase Your Company’s Value,” Palm Beach, FL, November 1, 2012. North Carolina Biotechnology Center, “Understanding How the New U.S. Patent Laws Affect Business Strategy for Emerging Pharmaceutical, Biotechnology, and Medical Device Companies,” Research Triangle Park, NC, May 16, 2012. SEBIO Investor Forum, “Optimizing IP Value and Understanding Financing for Emerging Companies,” Durham, NC, November 3, 2011. Georgia Bio, Lawyers Roundtable IP Strategies for Life Science Companies, Moderator, “Managing and Valuating an IP Portfolio for Successful Licensing and Partnership Agreements.” Atlanta, GA, February 5, 2009.